Even Senator Theodore Bilbo of Mississippi was prepared to draw distinctions between Northern Jews and “good” Southern Jews. The latter were circumspect, in any case, unprepared to question the South’s social order. At the height of the anti-integration effort, in 1957, Rabbi Ira Sanders of Little Rock testified before the Arkansas Senate against pending segregationist bills. Rabbi Perry Nussbaum of Jack­son, Mississippi, also courageously lent his support to the integration effort, as did Rabbis Jacob Rothschild of Atlanta, Emmet Frank of Alexandria, and Charles Mantinband of Birmingham. Yet these men stood well ahead of their constituencies. More than any other factor, it was the participation of Northern Jews in the Civil Rights movement that tapped that residue. These were the people, it is recalled, who were the earliest supporters of the fledgling National Association for the Advancement of Colored People. In 1914, Professor Emeritus Joel Spingarn of Columbia University be­came chairman of the NAACP and recruited for its board such Jewish leaders as Jacob Schiff, Jacob Billikopf, and Rabbi Stephen Wise. In the landmark 1954 Brown v. Board of Education ruling itself, the Supreme Court accepted the research of the black sociologist Kenneth Clark that segregation placed the stamp of inferi­ority on black children. Clark’s study had been commissioned by the American Jewish Committee, and it appeared in the amicus curiae brief the Committee submitted to the court. The Anti-Defamation League and the American Jewish Congress also submitted amicus curiae briefs in behalf of the cause. Once the judgment was issued, these Jewish defense organizations continued to file legal briefs in civil rights cases dealing with housing, employment, education, and public accommodation. Many local and state desegregation regula­tions actually were drafted in the offices of the Jewish agencies. Jewish participation in the Civil Rights movement far transcended institutional associations. One black leader in Mississippi es­timated that, in the 1960s, the critical decade of the voter-registration drives, “as many as 90 percent of the civil rights lawyers in Mississippi were Jewish.” Large numbers of them were recent graduates of Ivy League law schools. They worked around the clock analyzing wel­fare standards, the bail system, arrest procedures, justice-of-the-peace rulings. Racing from one Southern town to another, they obtained parade permits and issued complaints on jail beatings and intimida­tion. Jews similarly made up at least 30 percent of the white volunteers who rode freedom buses to the South, registered blacks, and picketed segregated establishments. 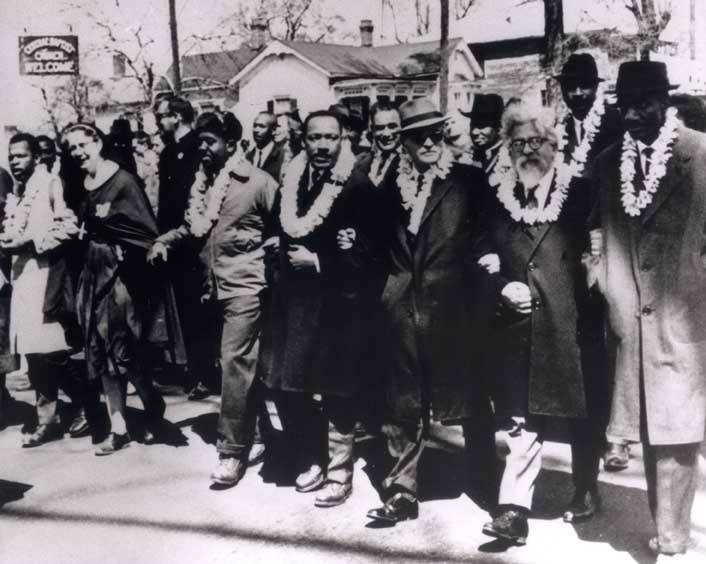 Among them were several dozen Reform rabbis who marched among the demonstrators in Selma and Birming­ham. A number were arrested. Others were taken into custody for attempting to desegregate a swimming pool in St. Augustine, Florida. One of the demonstrating rabbis, Arthur Lelyveld, was severely beaten in Hattiesburg, Mississippi. A young physician, Edward Sachar, volunteering his medical services to the freedom marchers, nearly lost his life as his automobile was forced off a Mississippi back road by local rednecks. 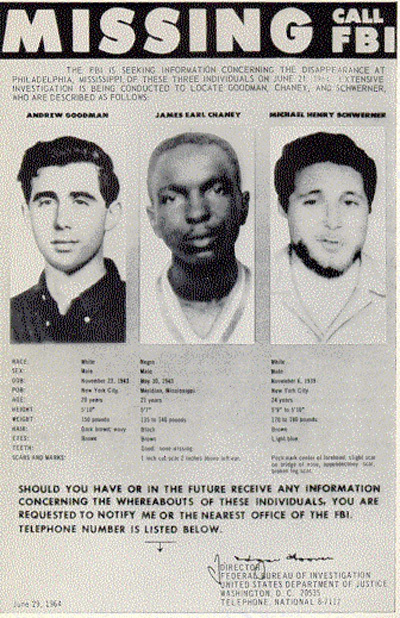 Two young New Yorkers, Michael Schwerner and An­drew Goodman, served in 1964 as voting-registration volunteers in Meridian, Mississippi. One of their coworkers was a young black Mississippian, James Chaney. Together they were waylaid and mur­dered by Klansmen, their bodies dumped in a secret grave. As much as any single factor, it was the nationwide attention given the discov­ery of their corpses that accelerated passage of the Voting Rights Act of 1965. The Jews had long since achieved their own political and economic breakthrough. Rarely had any community gone to such lengths to share its painfully achieved status with others.